The city of Dublin with its phenomenal economic growth is considered as one of the most popular destinations. It is an attractive destination tourist-wise destination for the locals and for the broader catchment area too. Currently linked twice weekly with charter flights. 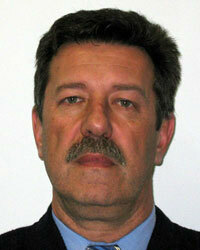 The constant increase of visitors from France to Istria would justify the implementation of additional traffic, an LCC. No flights from Prague despite the fact that arrivals ( by coaches) are numerous and the tourist demand is present. It is strategically located at the southest end of the Istrian Peninsula, a favourable geographical position which enables easy-reach to well-known resorts. It has extraordinary weather conditions, rare weather restrains. Its runway is 2950 m long which enables landing for wide-bodied aircraft too. It has an obstacle clear environment and no slot restriction. It has highly flexible and customer-oriented services. It is directly accessible by a motorway and national roads. It has safety and environmental consciousness, strong teamwork and outstanding human resource development. It has special interest in “jet set” guests flying in their private aeroplanes (G.A.) 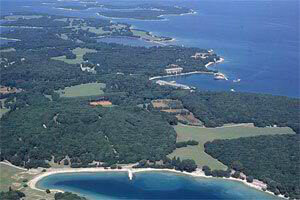 to Brijuni islands (golf), to concerts and shows, casinos or on their yachts in some Istrian marinas. It is constantly engaged in promoting its infrastructure, equipment and personnel education in order to provide high-quality services. In the coming 10 years we would like to triple passenger traffic and tremendously increase cargo traffic. We would like to offer more added value services, new destinations, better connections and more facilities in the airport. more added value services, new destinations, better connections and more facilities in the airport. It is the largest peninsula on the Adriatic Coast and the westernmost region of Croatia. It has a coastal length of 445 km (indented coast with many beaches and islands). It can accommodate about 220.000 visitors a day. It has a Mediterranean climate (warm and dry summers, mild and pleasant winters). Istria is chosen by visitors from all over the world, particularly by travellers seeking relaxation and business executives seeking a fascinating new destination for their meeting. Its mild climate, fresh air and non polluted sea enable sport and relaxation: Golf on the famous Brijuni islands, sailing and cruising, diving to long-forgotten shipwrecks, hiking and mountaineering, paragliding and hang gliding, mounting bike and other activities accompanied with tasty autochtonus food in a region of agrotourism, or on the seaside. Istria is the largest peninsula in the Adriatic Sea where different civilisations, cultures and traditions are intertwined. Its coastline and numerous surrounding islands are covered in pine trees and dense evergreen which offer beautiful natural shade. Istria’s interior is full of lush vegetation, hills, valleys and rivers. Throughout the centuries Istrian hospitality has evolved into a tradition and Istria has orientated itself around tourism. Due to this, its capacity in accommodation has grown. The Istrian tourist offer today abounds in tourist capacities and facilities ranging from those situated on the Istrian coast, to those in the Istrian inland, most on demand today. Istria is becoming famous today (apart from its famous tourist infrastructure focused on numerous hotels, tourist villages, campsites, private accommodations) for the development of nautical and congress tourism, excursions, hunting and fishing tourism, agrotourism, cultural and gastronomic tourism, sport and recreational tourism, diving and equestrian tourism and ecologic tourism. 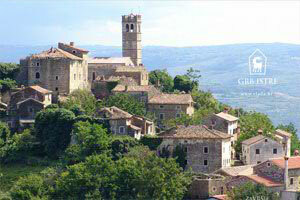 Istria is an oasis – rural and unspoilt, and this is rare in the Mediterranean now. 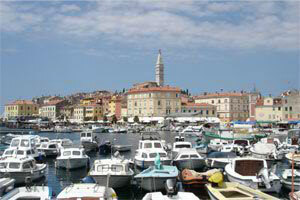 Istria is the nearest access to a warm sea for the inhabitants of Central and Eastern Europe. Its turbulent past has left behind many historical monuments. Touristically, Istria is one of the most developed areas of the Mediterranean, known to many but one that has never revealed all its secrets. 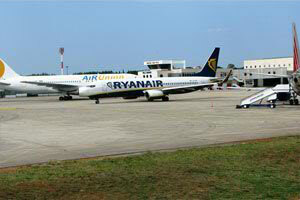 Local tourist authorities are especially keen to assist in backing low cost carriers. Pula Airport supports all airlines interested in taking up new routes with an incentive programme to reduce airline start-up costs such as landing and handling. 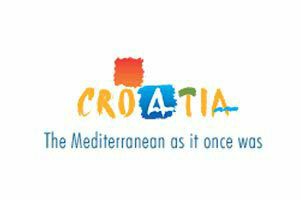 The airport may also look to offer additional backing through Istrian Tourist Board marketing support. (especially for LCCs). In addition the airport has a host of other marketing initiatives in terms of advertising, to strengthen the promotion of routes, to send out new route promotions, to promote flights and carriers at conventions, and to co-operate close with the local tourist board, Chamber of Commerce, and business development authorities. Istria as a destination offers fantastic opportunities to develop innovative tourist products and experiences, which would at the same time help promote and protect its natural resources. Special interest tourism, agricultural tourism, wine tours, cultural holidays and adventure holidays provide interesting examples of new products that are already being targeted in the region of Istria as part of the “Croatia – the Mediterranean as it once was” brand. Istria has a major advantage over many of its competitors – its natural and cultural environment is relatively unspoilt and offers huge potential for sustainable tourism development. Istria’s tourism industry started to develop in the early 1960s and by the 1980s it was an established holiday destination, representing serious competition for the Mediterranean leaders such as Spain, Italy, France and Greece. The primary reasons for its success are its natural geographic attractions – notably its beautiful coastline and unspoilt, natural environment and the fact that it offered excellenct value for money. A catchmnet in degrees: 1 = 50km; 4=200 km – 3.5 million within 200km. The direct catchment area of Pula Airport (within a range of 100 km) is the Istrian region spreading over the Liburnia area and Kvarner on one side and over the Slovenian/Italian coast line on the other side. The area within 200km has a population of 3.5m inhabitants. Development of motorways and major roads is underway. The new istrian motorway, which passes close to Pula Airport, provides faster communication to and from the catchment area. The airport is very close to the city of Pula, two and a half hours drive from the capital Zagreb, close to Italy and Slovenia. Such proximity enables potential passengers from these regions to utilize our airport . Pula Airport is directly connected to the new motorway network. Pula Airport has its own Cargo Warehouse. Cargo ground handling services are available for international and domestic traffic for companies and private parties. We have a long-lasting and consolidated experience in freight handling which we have developed from years of experience working with the local marine industry. Our services are arranged in partnership with our customers, taking into consideration their needs in the entire logistical process. Thanks to its immediate access to local motorways, rail service and deepwater port, Pula Airport offers unlimited options of transportation and its favourable geographical position could make Pula Airport a hub airport for domestic freight air traffic too. 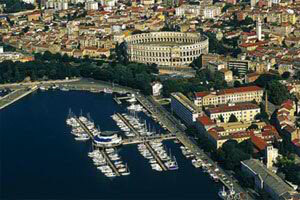 The vicinity of three major Adriatic ports : Trieste, Koper and Rijeka should be regarded as a great advantage too. Its geopolitical position could make Pula Airport an optimal link between the European west and east, as well as the European north and south. 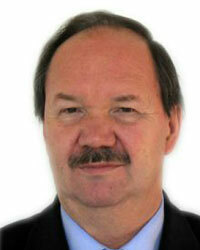 There is space to develop Free trade zones for which long-term partnership is sought. John Malkovich: being John Malkovich in Croatia this summer where he passed through Pula Airport. Located on the north-west coast of Croatia, Pula Airport is strategically situated on the beautiful Istrian Peninsula and is an ideal tourist destination. Pula Airport is only six kilometres away from the 3,000 years-old seaport town of Pula, a place which offers both historic and modern experiences. Pula Airport’s convenient location with its rich catchment area makes it the most suitable destination for charters and low-cost carriers bringing holiday-makers from Europe and the Middle East to many well-known resorts in Istria and to other neighbouring regions. The airport is able to deal within expected arrival/departure of 10 aircraft and 5,000 passengers simultaneously and is able to cope with an expected passengers throughput of 1m. 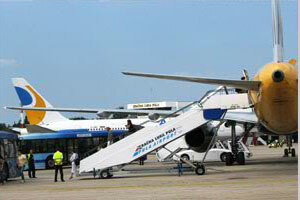 Pula airport is able to provide landing and handling services for a variety of aircraft – from small jets to 747s. The most distinctive characteristics of Istria in general and Pula Airport in particular are a longstanding tradition of a sincere devotion to tourism and its guests as well as a constant endeavour to adapt to modern trends in the market. Pula is a desirable destination for jetsetters, flying in private or rented aircraft, who have come to visit the Brijuni Islands, go yachting or attend concerts and shows at Pula Arena. Many state officials and celebrities such as Placido Domingo, Princess Carolina, John Malkovich, Simply Red and Naomi Cambell have been through Pula Airport. Runway length: Length 2950m/width 45m, RW 09: 088°G / 087° M, RW 27: 268°G / 267° M.
In order to increase quality service for our customers a new coffee shop has been constructed and placed into service in May 2013. The coffee shop has been planned to be constructed in two phases: The first phase is based on the first floor serving ice & hot beverages and take away food. The second floor is planned to be constructed in 2014 and will provide a self service restaurant and a kitchen with HACCP standards. To provide maximum operational safety a new modern rescue & firefighting facility has been constructed which meets all ICAO and other international standards. In the next couple of years we plan to reconstruct the whole runway and taxiway lighting system, build a general aviation apron, expand the terminal building to the east and afterwards to the west, expand the parking lot for the passengers and invest in aircraft handling equipment. Pula Airport is an eco-friendly airport; besides all the actions that have already been taken in this field we still plan to invest into a bio-rotor and solar panels for the future parking lot.